I am back from Delhi. Delhi was fun, I could explain about Inferno 2007 to some Big Pockets. Also I had Parathas from Mulchand Parathawala (very del.icio.us). Also I got a chance to Watch Unclaimed biography of DhiruBhai (GURU). 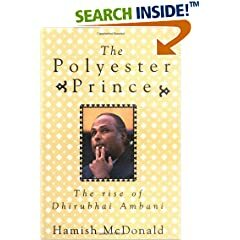 It inspired me to read the biography of THE AMBANI. Till then here are some of the comparison. There are many similarities (with slight modification) and I am putting some some 15 here. Guru born in Idhar of Gujrat. His Dad was a school teacher (a head master as shown in the movie). Guru Going to Turkey when he was a kid somewhere around 16 years. Guru was shown as smart guy playing with coins and making money in ball tricks (In short he was shown as a person who knew the trick of minting money). Guru worked as a clerk and then later worked with Shell. He also got a promotion. Ten years later, Guru returned to India and started a business Shakti Corporation (I do not remember the exact name, may be it was Shakti Trading) with a capital of Rs. 15000.00. The business was setup in partnership with his brother-in-law. The primary business of GuruKant was to import “Kela Silk (polyester)” and export spices. Brother-in-law ended his partnership with Guru. He was called Guru Bhai. He was then later better known as Guru Bhai. “Guru bhai ka Salaam”. The Shakti Trading was a 350 Sq. Ft. room with a telephone, one table and three chairs. Public offers for Shakti corporation targeting the rural India. Many became the partners to Shakti corporation. This was also one of the initial IPOs as he explained them the concept in details. Shakti corporation conducted its Annual General Meetings (AGMs) in stadiums. This is one of the highlights of the movie. Over 35,000 partners attended the meeting. Even the movie starts with the a ground and the AGM description. The conflicts/discussions with another business baron (Forgot his name). If I am not wrong some English person. Manik Dasgupta (Mithun da) or Nanaji, a friend/Mentor of Guru and then later turning against Guru because of his business approach. Mithun is the owner of a big newspaper (If I am not wrong the name of the newspaper was “The Independence”). Mithun asked Shyam(Madhavan) to write against Guru and going after him. Along with MAnik, he has to face his editor Shyam opposing all his moves while his company keeps growing. The scene where Gurukant Desai speaks to a political bigwig in New Delhi. Politician was not giving him any time and finally gave one opportunity. In the meeting Guru offered a biggy to the politician. Dhirubhai born in Chorwad, Junagadh in the state of Gujarat. Dad was a school teacher. Dhirubhai moved to Yemen when he was 16. Ten years later, Dhirubhai returned to India and started a business Reliance Commercial Corporation with a capital of Rs. 15000.00. The business was setup in partnership with Champaklal Damani, his second cousin who was also there with him in Aden, Yemen. The primary business of Reliance Commercial Corporation was to import polyester yarn and export spices. He was called DhiruBhai and was better known by this name. The first office of Reliance Commercial Corporation was a 350 Sq. Ft. room with a telephone, one table and three chairs. Dhirubhai Ambani is credited with starting the equity cult in India. More than 58,000 investors from various parts (mainly rural) of India subscribed to Reliance’s IPO in 1977. Reliance Industries holds the distinction that it is the only Public Limited Company whose several Annual General Meetings were held in stadiums. In 1986, The Annual General Meeting of Reliance Industries was held in Cross Maidan, Mumbai, was attended by more than 35,000 shareholders and the Reliance family. Dhirubhai had to cut through lots of red tape and face rivalry from another big businessman, Nusli Wadia – chairman and majority owner of Bombay Dyeing. Ramnath Goenka did not use his staff at the Indian Express to investigate the case but assigned his close confident, advisor and chartered accountant S. Gurumurthy for this task. Meeting between the late Rajiv Gandhi and Dhirubhai Ambani. Rajiv Gandhi wouldnâ€™t give any time for a meeting to Dhirubhai Ambani and when he finally gave time, Dhirubhai Ambani made him an offer he couldnâ€™t refuse. There are more points like corruption cases against Guru, Guru getting paralyzed, Guru with two daughters, the biggest company in India e.t.c. In 1982, Dhirubhai created waves in the stock markets when he took on a Kolkata-based cartel of bear operators that had sought to hammer down the share price of Reliance Industries. The cartel badly underestimated the Ambani ability to fight back. Not only did Dhirubhai manage to ensure the purchase of close to a million shares that the bear cartel offloaded, he demand physical delivery of shares. The bear cartel was rattled. In the process, the bourses were thrown into a state of turmoil and the Bombay Stock Exchange had to shut down for a couple of days before the crisis was resolved. I will recommend you to read Two faces of Dhirubhai. Still I am left with 549 blog spams and need to start driving lessons (Can you believe that Grmtech is forcing me learn driving on company’s expense and during company’s time. I really appreciated the move). Requesting everyone to be a part of Inferno 2007. The comparisons made between Gurubhai and Dhirubhai are interesting.. Very nice work.. It is really interesting, I wanted to know about the role played by madhavan. Thanks for posting it. You must have worked a lot on the topic. As usual this is a very distinct as well as interesting topic. Yes, it took me 2 hrs but was worth it as I wanted to read about ambani’s. Welcome to the blog. Do you have a softcopy? 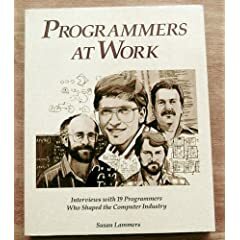 Btw how is the book? Will you like to write a small review about that others can get interested towards it. The name of the competitor in gurubhai is contractor n he is parsi , not an englishman. In the Real world, the person was Nusli Wadia, also a parsi. He was educated in Europe, so Ramakant Goenka referred him as Englishman.. Walking style – which is very fast. His bold n straight image whenever he has took on an opponent-generally more stronger than him. Never failing attitude. Dhirubhai’s only 1 failure is the loosing mgt. to L&T thanks to V.P.Singh.